President Donald Trump inaccurately bragged that he won the majority of women’s votes in the 2016 presidential election at a political rally on Saturday. 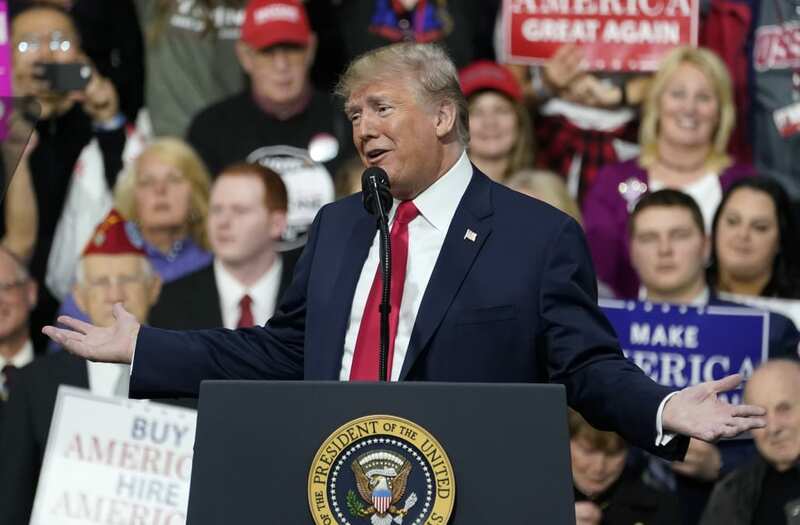 Appearing before a crowd in Moon Township, Pennsylvania, Trump boasted that he had proved his naysayers wrong when he received 52 percent of women’s votes. That figure was actually 41 percent. “‘Women won’t like Donald Trump,’” he portrayed critics as having said during his campaign. “I said, have I really had that kind of a problem? I don’t think so. But, ‘Women won’t like Donald Trump. It will be a rough night for Donald Trump because the women won’t come out.’ We got 52 percent, right? 52. And I’m running against a woman. You know, it’s not that easy,” he said, referring to his presidential political rival, Hillary Clinton. As for where that 52 percent came from, that figure was actually the percentage of white women who voted for him. When it came to minority women, only 4 percent of black women voted for him and only 25 percent of Hispanic women. In contrast, Clinton received 54 percent of women’s votes. Trump’s comments were made while attending a rally for GOP House candidate Rick Saccone, a nominee in Pennsylvania’s 18th Congressional District, who is in campaigning against Democrat Conor Lamb.